They certainly do creep upon us when we are blinded by the light and warmth of that sun. This is a great reminder to be always cognizant that where there is light, darkness will come. A beautiful write, Ryan. It’s a haunting image for me. Captures very well my cycling moods, knowing that I have to be on the look-out for approaching ‘darkness’. Bravo vecino! …until they attacked? 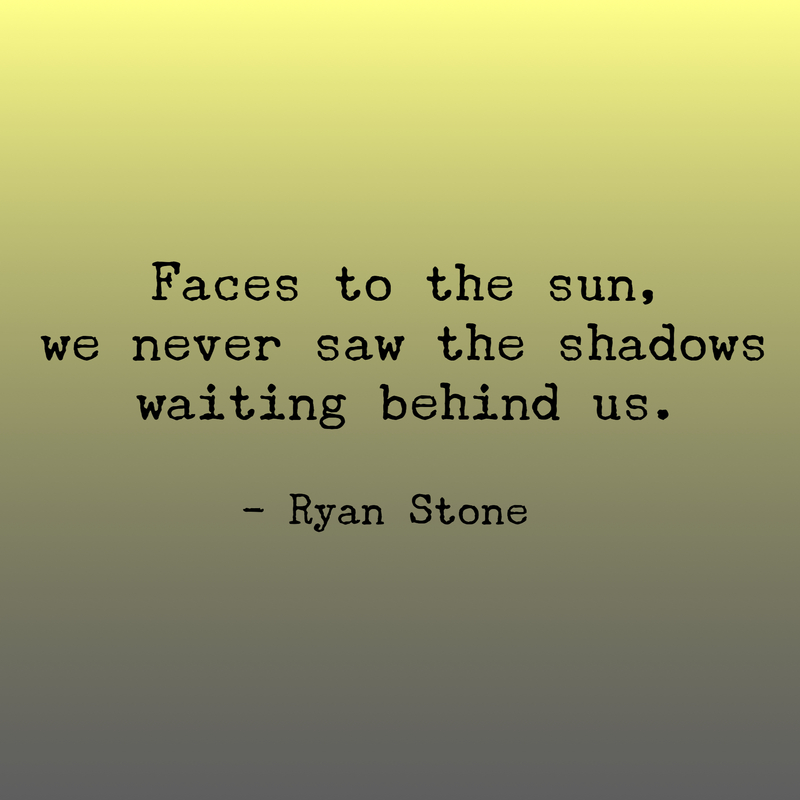 😉 great poem makes me wonder what sun is blinding me and what shadows are creeping up on me this week…all good stuff I hope! You’re welcome. I hope so. I’m PM for a major relaunch this week! Exactly! Without a hint of shadows the sun would never seem quite as bright. Thank you, Miss Skittles. I’ve missed your feedback, I’m glad you’re back and hope things are better in your world. This lends itself to so many interpretations. Whole books have been written on this theme and you captured it so brilliantly in these few lines. (Applause). Lovely and mysterious…even little dark and scary. This is very powerful!